The XMLSpy XSLT editor includes numerous tools that facilitate quick, error-free stylesheet development. 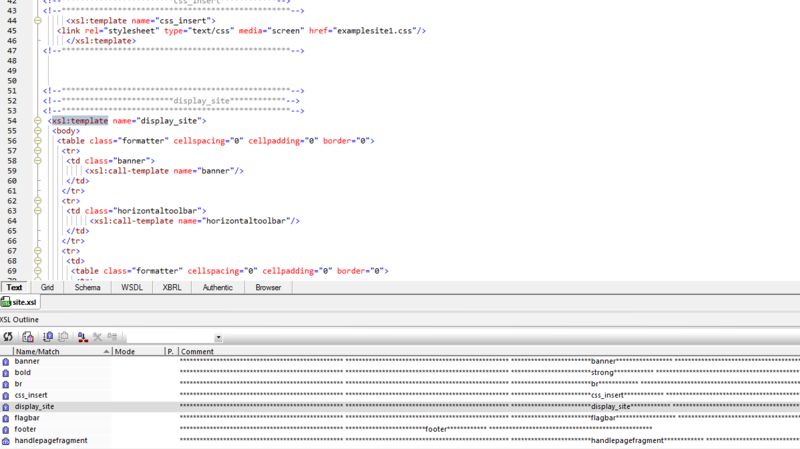 Though you can use the XSLT editor in XMLSpy’s Enhanced Grid View to view and edit your stylesheet code in a tabular format, most developers prefer to work Advanced Text View for this type of development. Advanced Text View includes syntax coloring, line numbering, source folding, book marking, and other visual cues for organizing and navigating through your code quickly and easily. If you need more information please contact the developers of XSLT Editor (Altova), or check out their product website.